Richard Betts riffs on the things that make Shayne Carter great, and witnesses the guitarist’s rebirth… on piano. 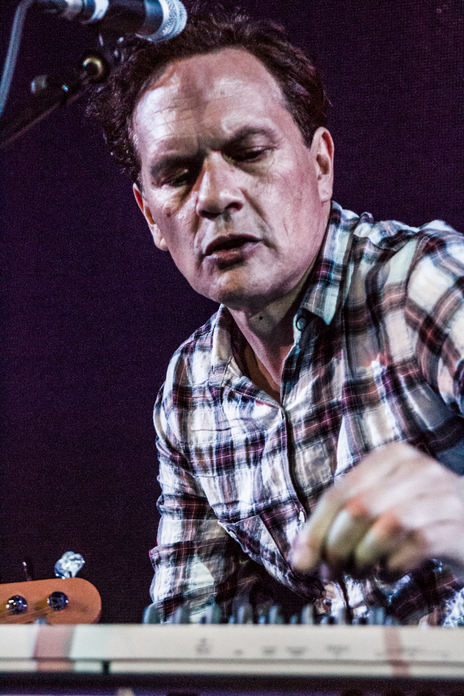 Shayne Carter, not playing piano – performing with The Adults. THERE’S A STORY about Dave Davies, guitarist for The Kinks, taking a razor to his speaker, to see what happens. Just cos. In doing so he inadvertently invents distortion, uses it on ‘You Really Got Me’ and changes music forever. It’s rare but some musicians are like that. They’re discontented, always in search of the new. They’re the ones who discover odd sounds by setting fire to their guitars or sticking knitting needles through their amplifiers. Shayne Carter is the guy who sticks knitting needles through his amplifier. 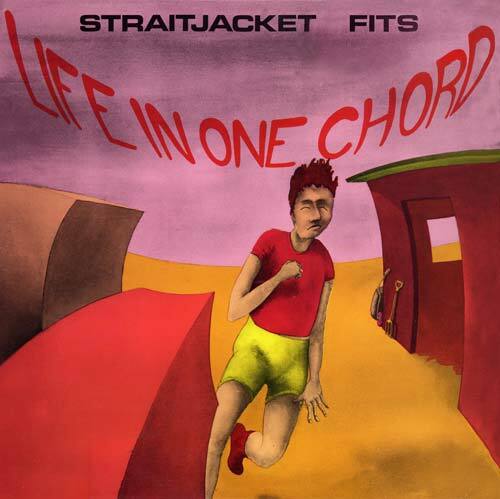 You can hear it in the otherwise melodic ‘Dialling a Prayer’, from Straitjacket Fits’ Life In One Chord EP, where Carter’s choppy it’s-not-a-bum-note-I-mean-it (man) discolourations mirror the discord that exists between him and co-songwriter Andrew Brough. It’s there in his posture one recent Wednesday night, when he’s sharing the stage with three other Kiwi songwriters and launches in to a cover of The Verlaines’ ‘You Cheat Yourself Of Everything That Moves’. 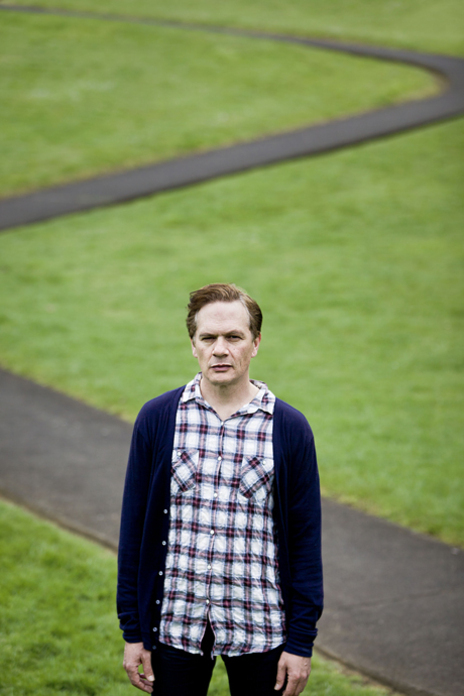 He’s all twisted Richard III snarls and sneers, our own Johnny Rotten but one who will never appear on I’m A Celebrity Get Me Out of Here. 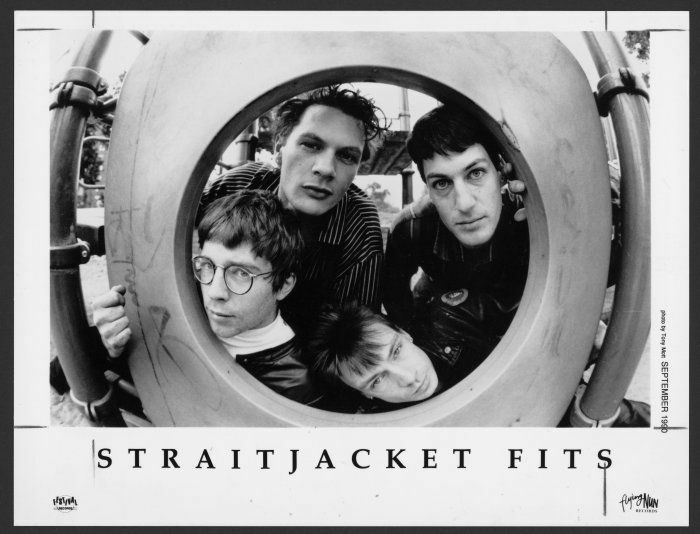 Early PR pic for Straitjacket Fits. It’s not there, however, as he talks about his songs. He is intelligent and articulate and a little bit shy, which is odd for a guy who’s spent more than 30 years sharing his innermost thoughts with people who’ve never met him and never will but who love him all the same. It’s hovering simultaneously at the edges and at the heart of a new song he shares with the audience at Auckland’s Q Theatre. He explains he’s never played piano in public before and he’s shitting himself. He took up piano, he says, because guitar had become too predictable. He knew what an A chord was going to sound like, so he bought a keyboard and discovered that an A sounds… different. New. He admits that he messes the song up, right at the end, but you feel the audience wants him to think it didn’t notice (though it probably did) and loves him that little bit more for his disarming honesty.